I received as a gift and loved it so much I bought 5 for Christmas gifts next year. Have to say I miss the tunes in the bathroom. I will buy this again. it is so much fun to see reactions. I have used mine all last Christmas season and now it is still working, I was surprised by how long it has lasted. I bought 14 of these as little love gifts to hand to friends and family and they all loved them. I used this product for Christmas fun, guests loved it. I was so glad to find this agqain, as years ago I had this one plus a birthday and Halloween one. Wish I could find them again. There is nothing I can say bad about this. My kids think I am 1 step away from being hauled out by the men in white coats. I Love it. Ordering another one for guest bath. Plays a compilation of Christmas songs. Loud enough to hear without being obnoxious. Grandchildren love it. Love to see the people faces when they come out the bathroom. They would be in there trying to find where the music is coming from. This made a hit at my family Christmas party. I also bought one to use for a fun white elephant gift which the recipient also liked. Overall: this was such a strange, unique item. I'm glad I bought it, and happy I was able to fix the hardware problem I encountered. I bought two of these, one for each bathroom. Each unit comes with a little piece of pull-tape attached. You pull the tape to allow the battery to connect to the connectors inside, and then the unit starts working. Or at least, that's the idea -- the first unit did not work at all, so I took it apart. The battery became unseated when I removed the pull-tape, so I had to wedge it back in place. (No tools were used, just my fingers.) That worked: I put the unit in a toilet roll, put it in the dispenser, and xmas tunes! The other unit worked without a hitch. As for the music: these are 4 well-known songs (jingle bells, we wish you a merry christmas, etc. ), all mashed together. The jingle runs for about 10 seconds and just repeats if you roll the toilet paper. After a couple of weeks the jingle becomes a little annoying. The speaker is very primitive -- like what you'd hear from a computer in the early 1980s, or the original atari 2600. My toddler grandchildren enjoy it. I leave it in the bathroom year round. My grands love it. Problem - When they arrived, neither worked when I removed the tape. I had to keep thumping them until I could get sound from them. I was afraid that I would have to return the 2 of them. Both are working. One can barely hear the tune/music. I purchased my Christmas cards and other items from Miles Kimball every year (as my Mom did) but this is a perfect case of you get what you pay for. Overall, I love MK products, these last couple of items, not so much. Took apart to get it to work. When pressed down manually the connection worked and music played. Put back together, nothing triggered it to get the auto connection. Tried everything. Disappointed. Want to buy another. Maybe i got a dud or kept mine too long unopened. This piece of junk didn't work even once. So poorly made! Can't believe MK would carry this. it will not work in the toilet roll. It will only work when I tap it against my hand. I ordered 6 of these for Thanksgiving favors. I opened on immediately to try it out. There was no music. I suspect the battery was dead...even though I pulled the tab that protected the battery. So I returned them all...not wanting to pull all the tabs immediately...but fearful they would be "dud" party favors. Piece of junk. 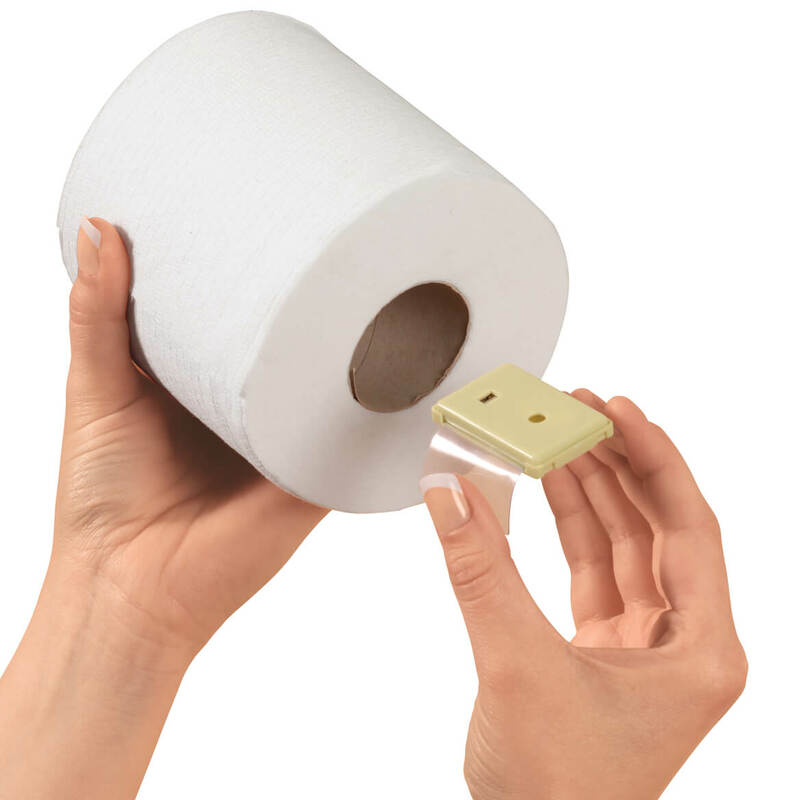 It works if you hold it in your hand but does not work in the toilet roll. This item is very quiet and it doesn't play one whole song but a few bars of a variety of songs, all mixed up. Mine only lasted about 12 hrs and now it doesn't work at all. There's only two people in my household, so it's not like it was over-tasked. This musical toilet paper roll is anything but funny. Apparently the Chinese are unfamiliar with our holiday music. Not only were the songs unintelligible, the sound is so scratchy it hurts your ears! As a joke to all the houses I go to. For my daughter and son in law as a joke. I put one of these in every bathroom. They are a big hit with the kids and adults. My grandson wants it left in his bathroom year round. I even put one in the adult stockings one year. Something fun for the holidays. I thought this would be cute for the Holidays. I brought this item recently for gifts from another vendor, before I had this account and everone loved them. I left three people ot, so lets see how these work. For the spirit of Christmas and to freak my family out! Ha! 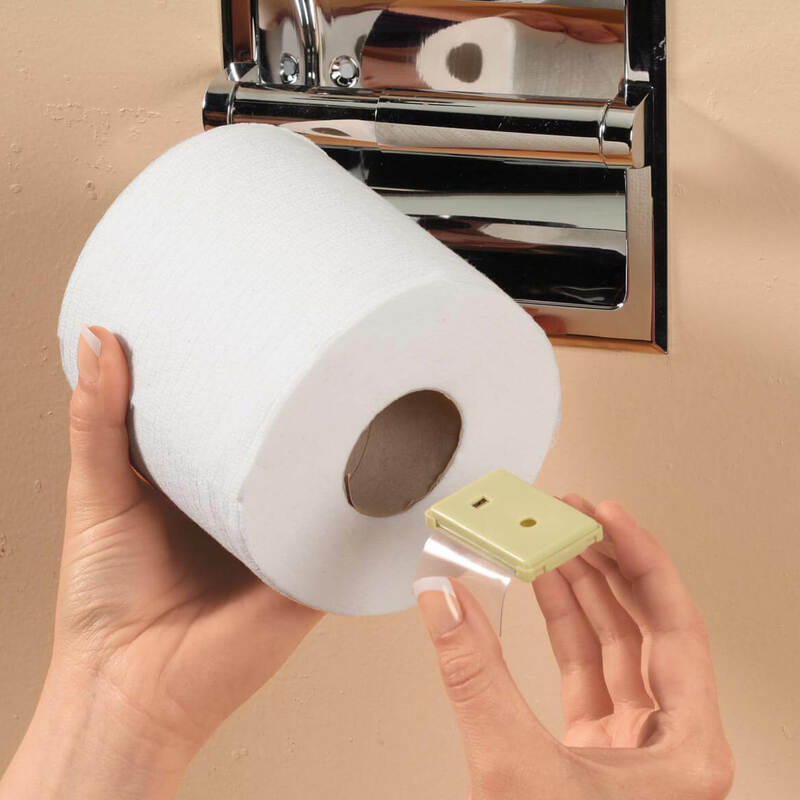 I plan to secretly install this in a relative's bathroom as a joke! Really cute idea. Get a laugh out of this every time we pull the toilet paper. My Son always has some kind of joke/surprise at the holidays. Thought I would get back at him with this! It will be fun. To have a little holiday where no one would think it will be that is in the restroom. I had one of these years ago. It just makes people "happy" when they use the facilities and the paper roll plays Christmas music to you. I bought one a couple years ago and it was a hit at Christmas! I've read a few negative reviews about it this year, but thought I'd take a chance anyway. It's hilarious. I have had items like this before and it is always enjoyed by visiting guests, a conversation item, in season. A nice item for the holiday. As guest visit the powder room, a great inspirational to all. It seems like a fun stocking stuffer for my adult kids. I thought it would be fun and unexpected. My great grandson was looking everywhere for the music, but he was unable to find where it was coming from. I am going to have a good time with this item. A fun thing to surprise family with. I wanted something new and different in the guest bathroom. something different in the bathroom. Wanted to surprise my youngest son who loves to decorate for the holidays. Is the battery replaceable? What size of battery? BEST ANSWER: This is so great. Love it. It comes with a battery. The round silver one like you use for a watch. But you can find them at the dollar stores, if you need to replace. But it already comes with a batty. Thank you for your question. The battery compartment can not be opened. Cause of this we do not know what battery it uses. We hope this information will be of help to you.